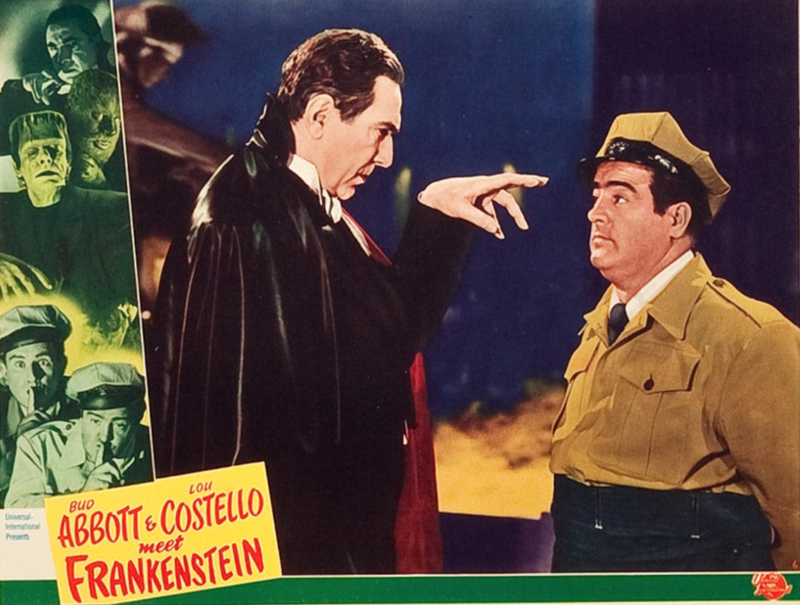 If Lou Costello has done nothing but Abbott & Costello Meet Frankenstein (1948), I’d still be honoring him on his birthday. It’s so funny, so brilliant, so perfect. 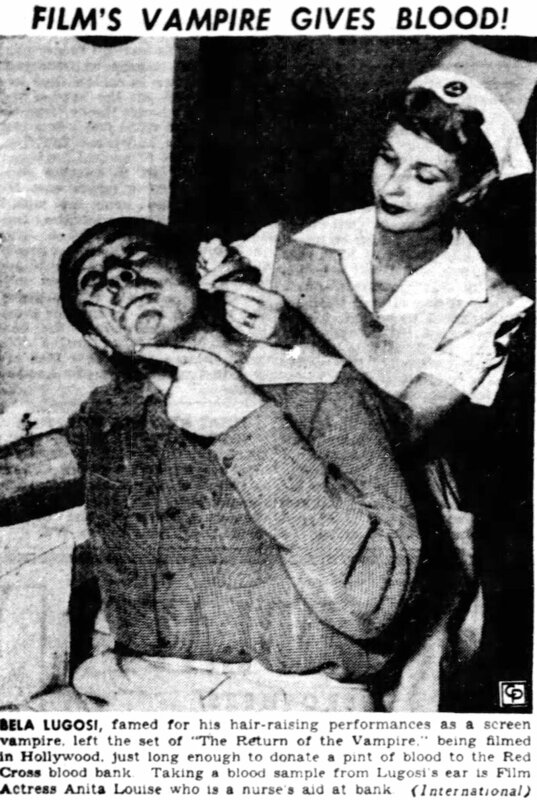 Luckily, he and Bud Abbott did plenty more. 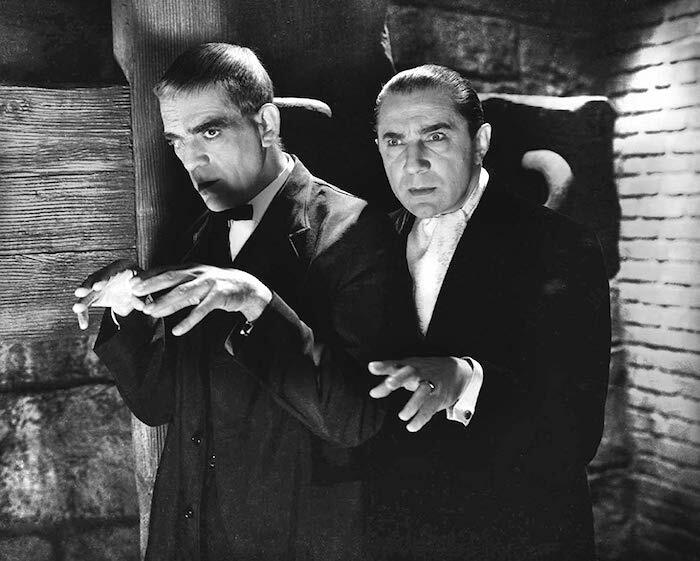 Blu-Ray News #214: The Boris Karloff/Bela Lugosi Collection. Scream Factory has really done it this time. 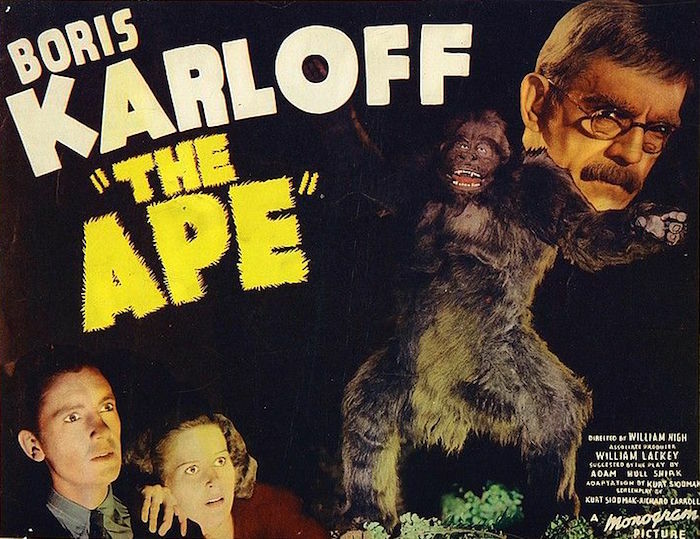 Their upcoming The Boris Karloff/Bela Lugosi Collection brings some of the weirdest, sickest and best-est horror films of the 30s to Blu-Ray. All four were Universal pictures. Edgar Ulmer’s The Black Cat (1934) might be the granddaddy of all Pre-Code Horror films. It spends so much time hinting around at all kinds of awful stuff, it hardly makes any sense. But it’s so creepy, so twisted, so wonderful, who cares? How could you ever approach the supreme weirdness of The Black Cat? 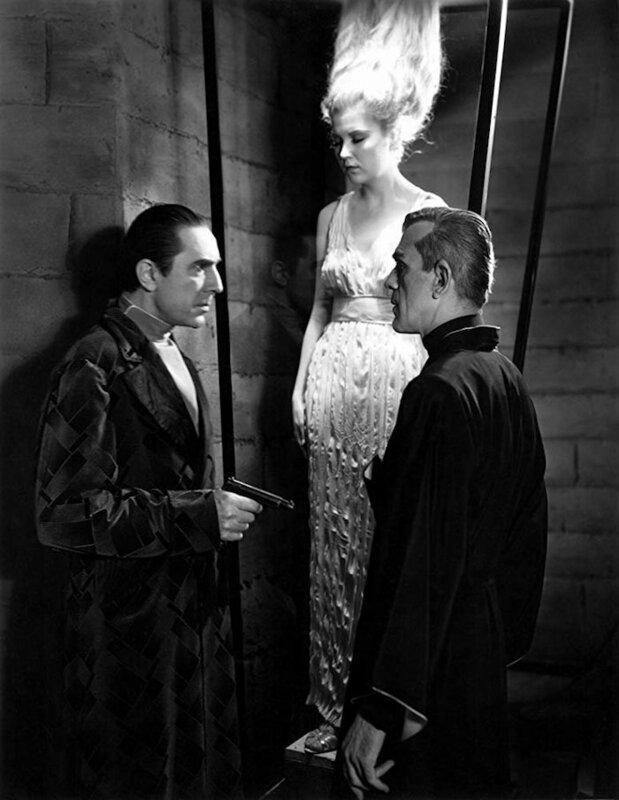 With The Raven (1935), Karloff, Lugosi and Lew Landers gave it the old college try. Lambert Hillyer turns Boris and Bela loose on sets leftover Flash Gordon sets. The results are every bit as cool as you’re imagining right now. This one will be a real treat in high definition. 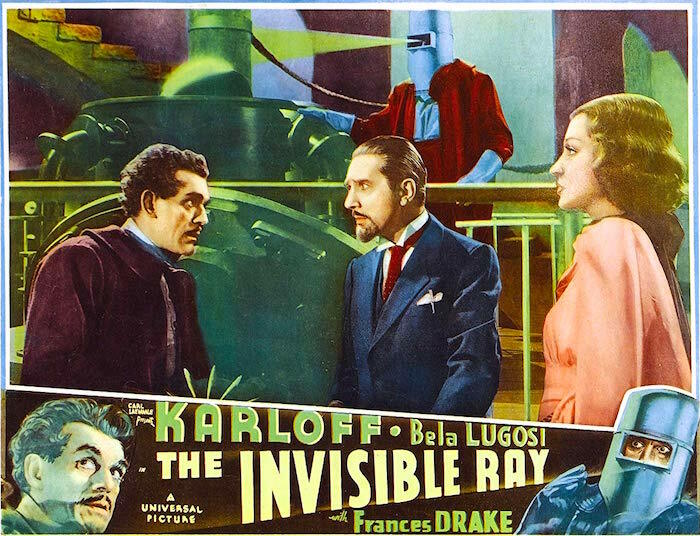 Lugosi’s role is pretty small in this one, and he and Karloff don’t have any scenes together. Curt Siodmak’s script plays around with ideas he’d use again in Donovan’s Brain — his 1943 novel and 1953 film. This is essential stuff, folks. And it’s coming in April. 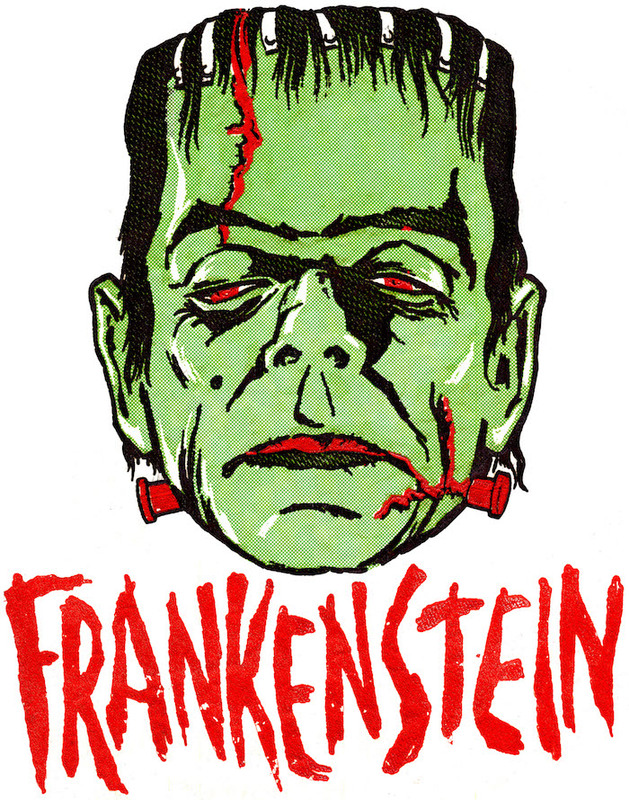 Saw the other day that Frankenstein is 200 years old, with Marry Shelley’s novel Frankenstein, Or The Modern Prometheus first published in 1818. 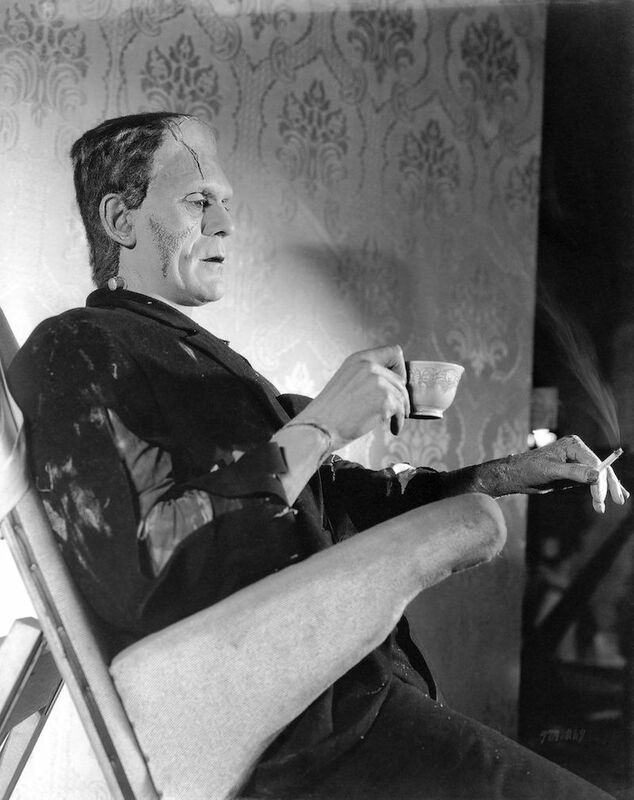 So here’s to Dr. Frankenstein, his monster, the monster’s bride, and anybody who ever helped bring the many Frankenstein movies to the screen — particularly the Universal and Hammer films. 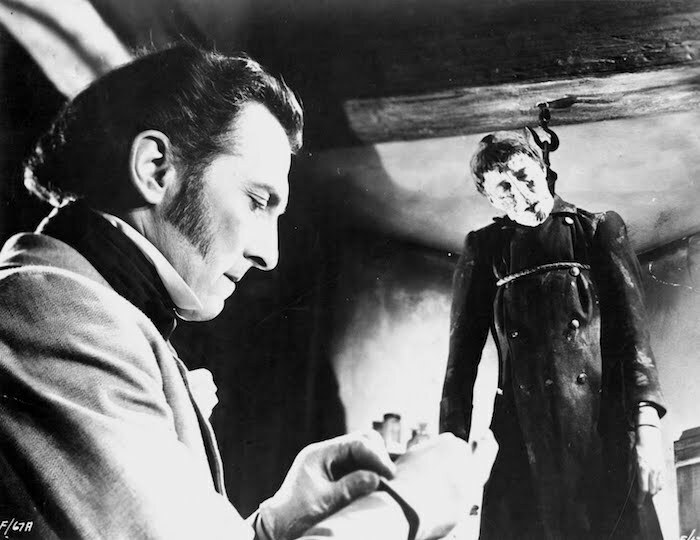 Peter Cushing sits while his monster (Christopher Lee) hangs around. It was a very shrewd move for Hammer to focus their series on the doctor and his misadventures rather than inviting strict comparisons to the Universal classics, which would be very hard to top. And, of course, casting Peter Cushing in the role was simply inspired. So happy 200th, Frankie. You’re holding up pretty well. 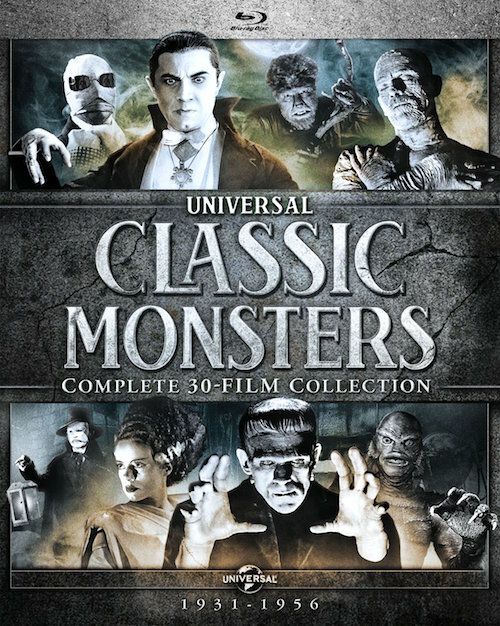 Blu-Ray News #188: Universal Classic Monsters – Complete 30-Film Collection (1931-1956). 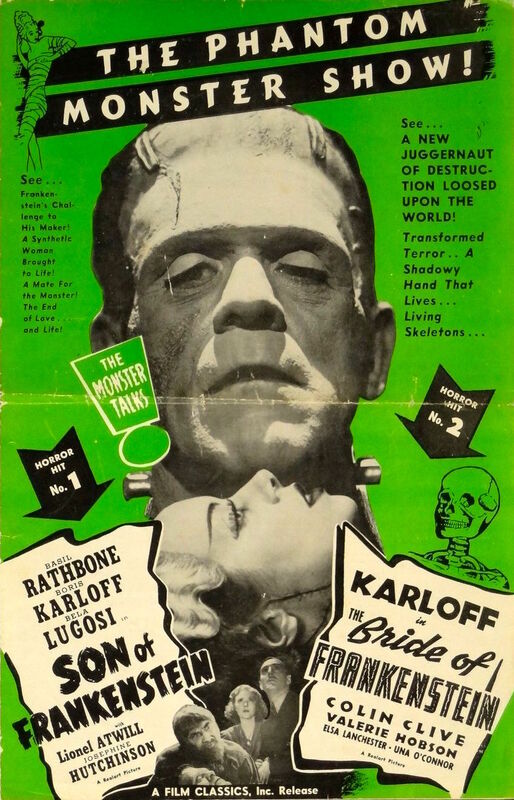 If in its glory days, Universal made a movie about Frankenstein, Dracula, The Mummy, The Wolf Man, The Invisible Man or The Creature From The Black Lagoon, it’s in this box — in high definition. What more do I have to tell you? Thirty movies in all, and only one in color (Phantom Of The Opera). The Creature movies and Abbott & Costello Meet The Mummy are 1.85. 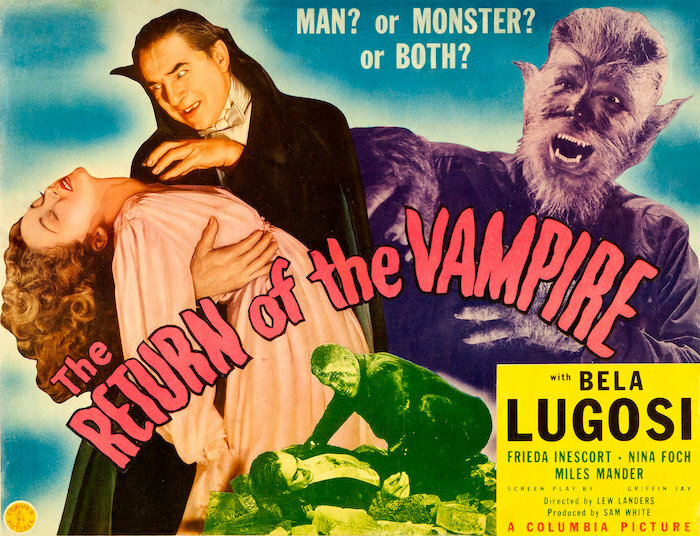 Just wondering: where’s Abbott & Costello Meet Dr. Jekyll & Mr. Hyde (1953)? Guess Jekyll/Hyde’s outside their normal monster cycle. This is a great thing, and it’s coming next week. Blu-Ray News #175: Retromedia Heads For Poverty Row. Fred Olen Ray’s Retromedia Entertainment Group has been bringing some cool stuff to Blu-Ray — including a few great pictures scooped up from Poverty Row. 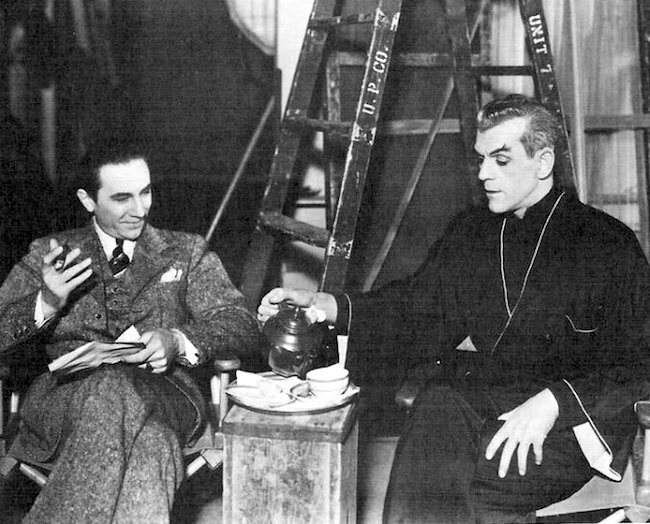 A couple of Lugosi’s Monogram Nine — these were both produced by Sam Katzman and directed by Wallace Ford. 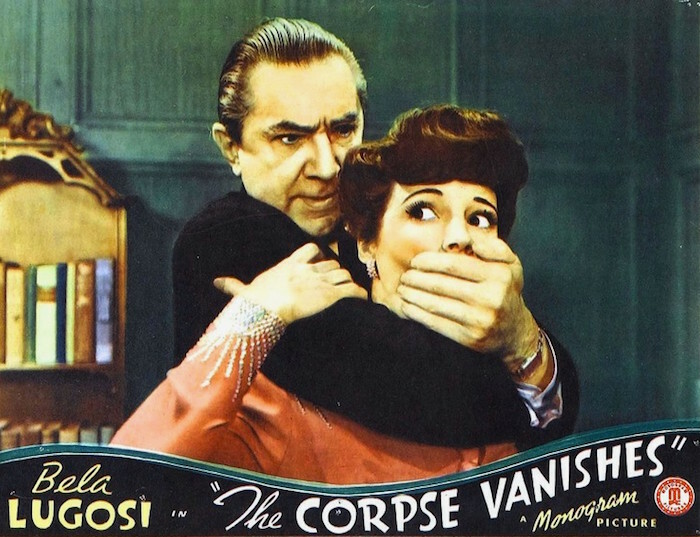 In The Corpse Vanishes, he’s a mad scientist working to preserve his wife’s beauty. 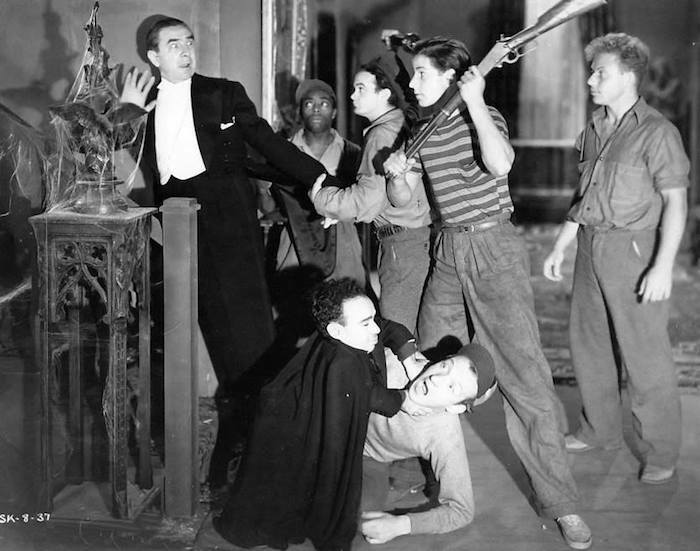 In Bowery At Midnight, Lugosi uses a soup kitchen to find guys for his gang of crooks. In the climax, all the guys who’ve been killed along the way come back to life. Great stuff. 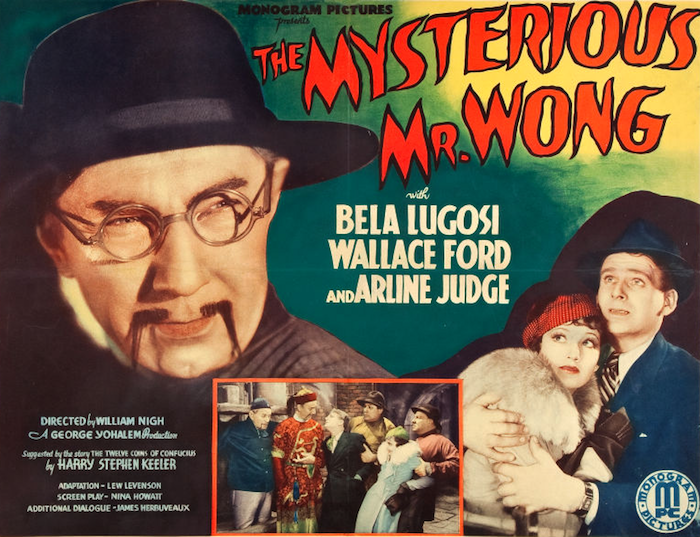 Another of Lugosi’s nine, The Mysterious Mr. Wong has him playing a Fu Manchu type. The great Wallace Ford plays a wisecracking newspaper man. James Dunn plays a detective in The Living Ghost, directed by the infamous William “One Shot” Beaudine. Boris Karloff had his own Monogram Nine, and The Ape was the last of them. He’s another mad scientist, this time trying to cure polio. At the same time, an ape escapes from the circus. 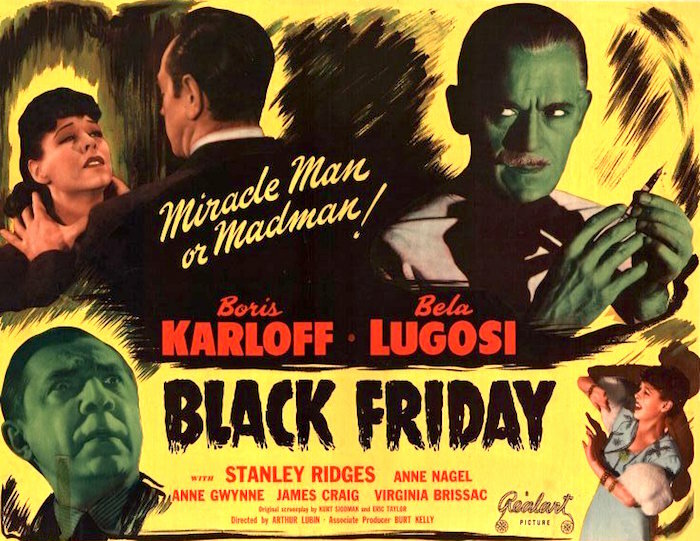 The Black Raven is from PRC, directed by Sam Newfield and starring George Zucco, Robert Livingston and Glenn Strange. You know, when cheap little movies like this become available in high definition, maybe the world ain’t so bad after all.